Last week I recommended you give the cow juice a miss, but there’s no need to despair over missing out on your morning yoghurt! 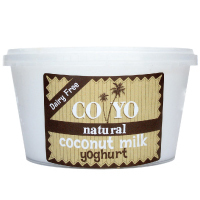 Coyo have come to save the day with their delectably delicious all natural coconut milk yoghurt, in a choice of plain or three real fruit flavours – mango, berry and passion fruit – although I do prefer the plain flavour over all as it is lower in sugar. The reason these guys get my nutritionist tick of approval is thanks to their like minded belief that food should be kept real with no nasty artificial additives and processing methods that diminish the nutrient value. All you’ll find in Coyo is real coconuts, and the fruit flavours use real fruit and real pro biotic cultures and they have chosen a natural, low insulin producing sweetener – Xylitol to add a little sweetness. Add a couple of table spoons to your favourite gluten free muesli (i’ll be posting a recipe for my own soon) with my home made almond milk or simply enjoy as a healthy snack. You can get this in WA – I have bought this i Woollies but then it disappeared again…also health shops. I have bought it in Peaches South Freo as well. I have just recently come across this amazing product! It is divine! After eating this there is no way I could go back to eating regular yoghurt! I have been adding fruits to the natural one, and it is just amazing. Even without fruit it is just the best! The Coyo website lists Neil’s Organics but my sister knew which organics shop it was. It’s on James street and its an Organics Super IGA (I never knew they existed!). The location is correct on the Coyo website just the name is incorrect. Good luck finding it and make sure you keep buying so they keep it in stock for when I’m next up there! Enjoyed the fat write up, I’ve def been upping my oil intake and if anything my weight has gone down. Really does help to keep me full otherwise within the hours I’m looking for another snack. Coconut oil works wonders for my scalp psoriasis, internal and external! Sounds like Riana may have tried it in a hotel where she was staying perhaps? Riana do tell! Alternatively you could contact coyo and ask who their distributor is up there? 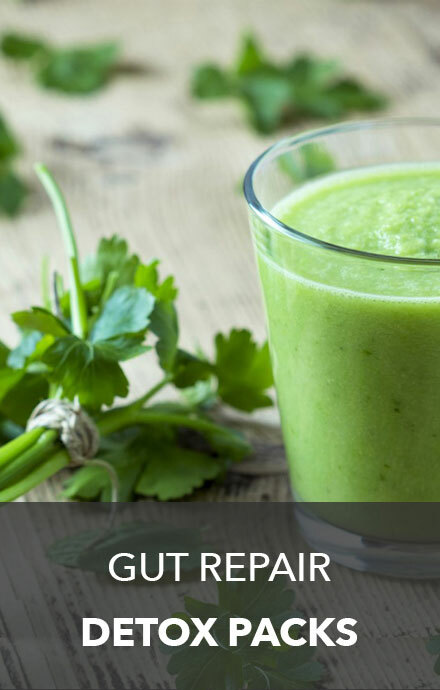 Hi Andrea I am a big fan of cooking with unrefined virgin coconut oil as it has a high smoke point – meaning it is very tolerant to heat and will not burn easily or oxidise like other oils can. I am writing a post on fat this week so make sure you have subscribed to receive an email alerting you to my weekly posts. How exciting you tasted it in Cairns- where did you buy it from? I am a Cairns local and astonishingly enough I tasted it in Boganville (commonly know as Townsville) to north Queenslands last night and was instantly transported to utopia via nirvana! Tried this on the weekend while staying in Cairns with my sister (I can’t get it in WA). It truely is delicious! I’m assuming it should only be consumed as a treat (that is only 2 table spoons per day or so) due to the high fat content? I also tried the cocoa icecream, a bit sweet for me but mixed with the natural yoghurt it was soooo good! This coconut yoghurt is so good, tried some yesterday! 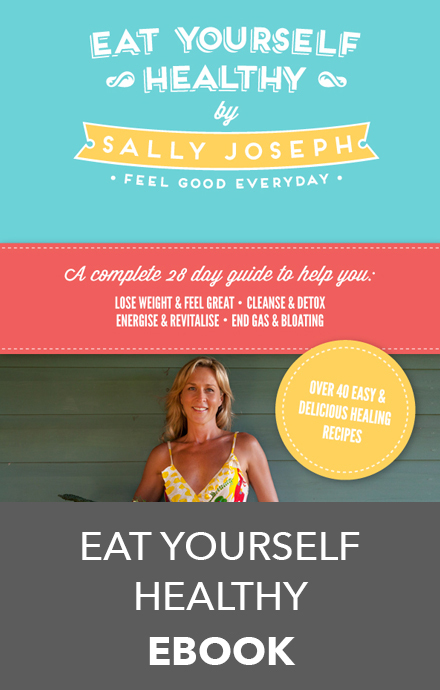 Sally what are your thoughts on cooking with virgin coconut oil?